Q. Where can I buy Outsak bags? Q. Who makes Outsak bags? Q. What is the purpose of Outsak bags? Q. What animals do Outsak bags protect against? Q. What is the difference between Outsak UL and Outsak Spectrum bags? Q. Do you have to hang the Outsak? Q. Should you stake your Outsak bag down to the ground? Q. Is it necessary to use an odor proof bag? Q. How do I cache food or gear for extended periods? Q. 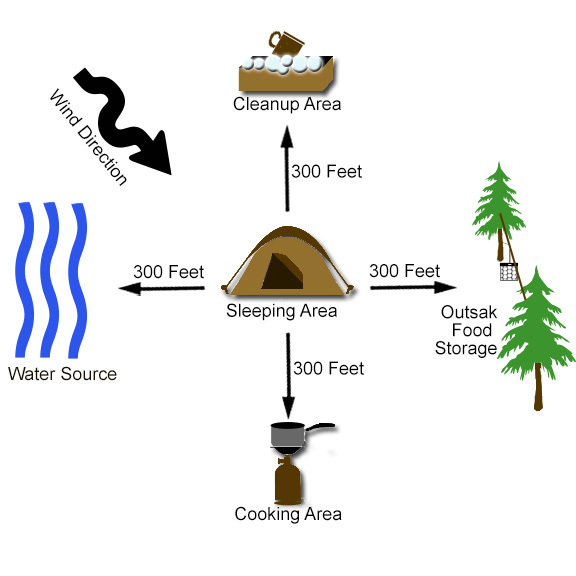 Should I store my Outsak bag in my tent? Q. 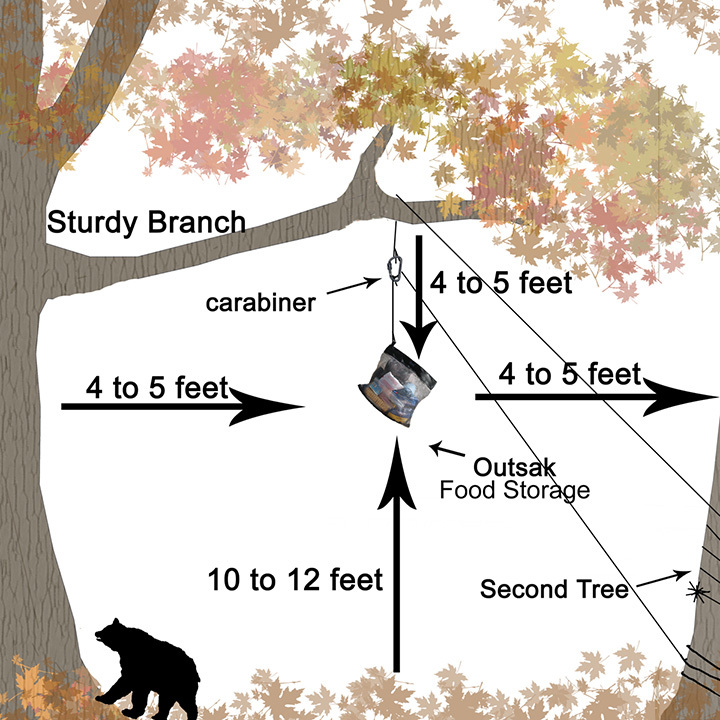 How do you determine the capacity or volume of your Outsak Bags? Q. 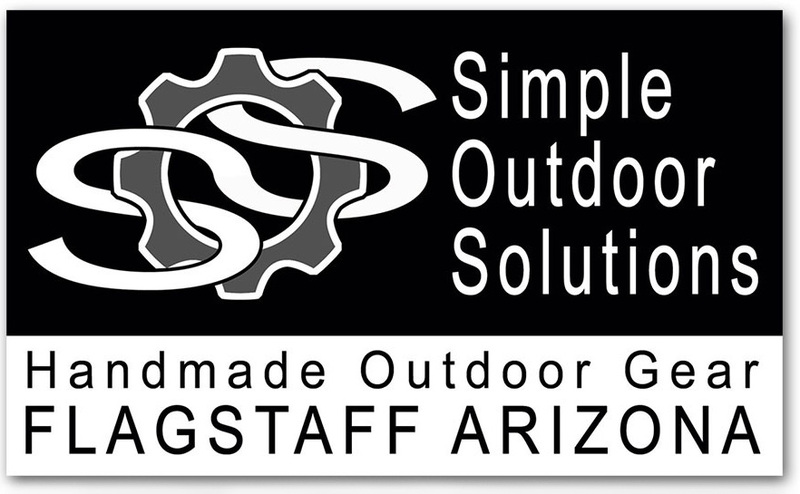 Does Simple Outdoor Solutions, LLC offer discounts? Q. Where can I buy an Outsak bag? Please note: Sizes and colors may vary from store to store. Call the store to see what they have. 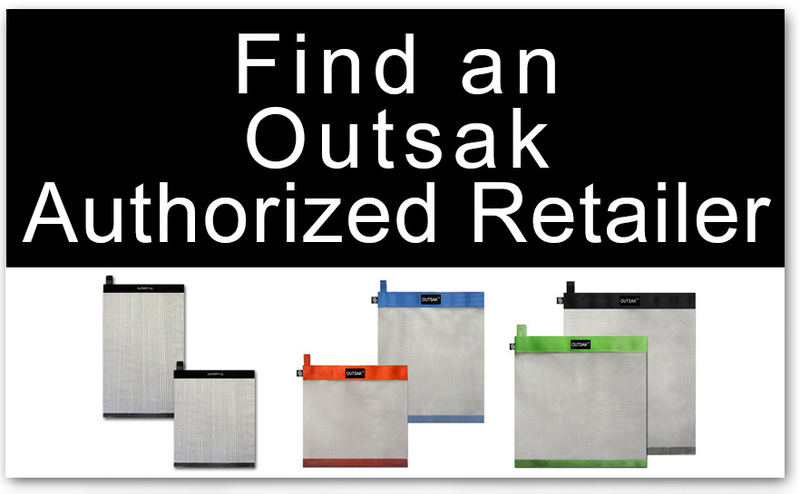 All Outsak® Animal Proof Storage Bags are made by Simple Outdoor Solutions, LLC. 100% Hand-Made in Flagstaff, Arizona. Q. What is the purpose of an Outsak bag? Made of lightweight, interlocking, stainless-steel, Outsak bags protect your food and gear from animals chewing or clawing. 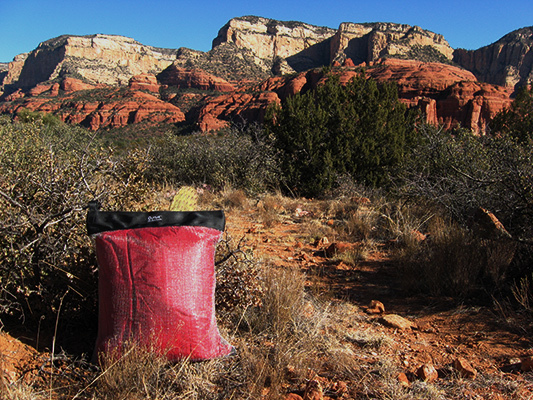 The Outsak bags are designed to work as a protective outer shell for food, trash, toiletries, and other scented items. Q. What is the difference between the Outsak UL and Outsak Spectrum Bags? Q. Do you have to hang the Outsak? How do I cache food or gear for extended periods? The basic Outsak directions are simple: Stuff it. Seal it. Hang it or conceal it. 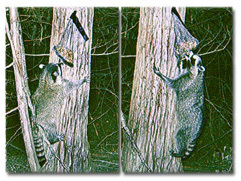 Your decision whether or not to hang your Outsak Animal Resistant Storage Bag, should be based on which animals you might encounter. 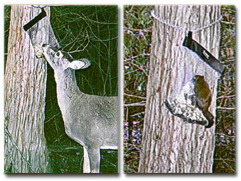 In non-bear country, we have a few techniques to keep out persistent critters. 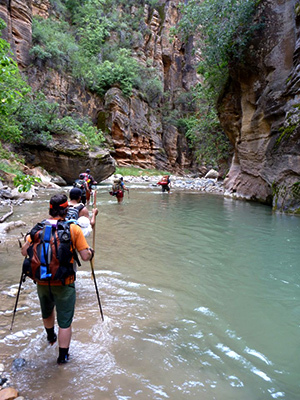 These simple videos are particularly useful in areas with little or no trees, like Grand Canyon National Park. No. We do NOT recommend staking your Outsak bag down to the ground. By staking it, you are allowing the animal greater leverage, increasing the chance for a breach. Watch the videos above for more effective techniques. Q. Is it necessary to use an odor proof bag with the Outsak bag? An odor proof bag, such as the OPSAK, will greatly reduce the chance of animals detecting your food or scented items. 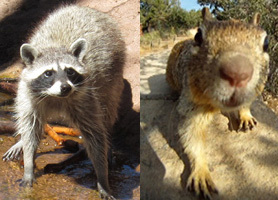 In areas with VERY persistent animals, we highly recommend using an odor proof bag. Nylon Stuff Sack - Contains crumbs, but breathable and not odor proof. Plastic Container - Works well, but weighs more. Plastic Zipping Bag - Contains crumbs, but not odor-proof. For safety, NEVER store your Outsak® Animal Resistant Storage Bag or any other scented items in your tent or near where you sleep. Animals attempting to get into your food and/or scented items MAY put you in danger. Store food and scented items away from where you sleep. Discounts are available on occasion. Contact Us for more information.